Windows 7 provided a very easy way to choose which icons you wanted to appear in the Taskbar. All you had to do is open the notification tray and click Customize. 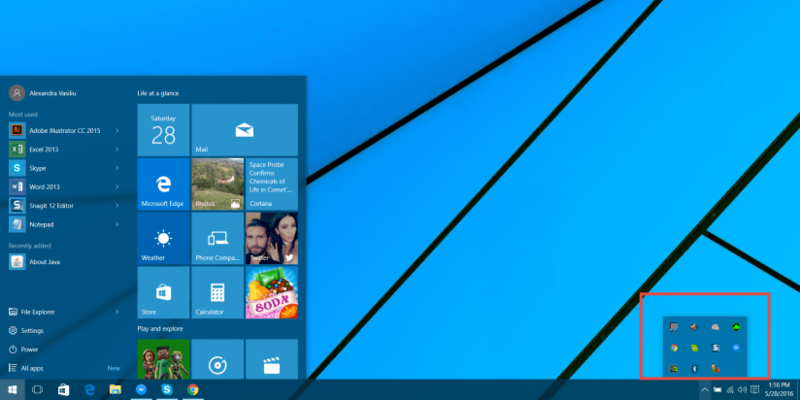 You can also customize the Taskbar Notification area in Windows 10, but it works in a different manner. Obviously, Windows 10 still has the notification tray, but the Customize option is available anymore. So, if you want to customize the Taskbar Notification area in Windows 10, you will need to dive into the Settings panel. This is very useful if you have some app shortcuts in the hidden notification area, which you would like to be displayed on the taskbar, right next to the clock and current date. Even if you’re not an expert at this sort of thing, no need to worry. We will take you through all the steps below. Navigate to Settings -> Personalization -> Taskbar. Here click on Select which icons appear on the taskbar. Alternatively, you can just look up the ‘taskbar’ word in the Settings search field and click on the option I just mentioned to reach the same panel. 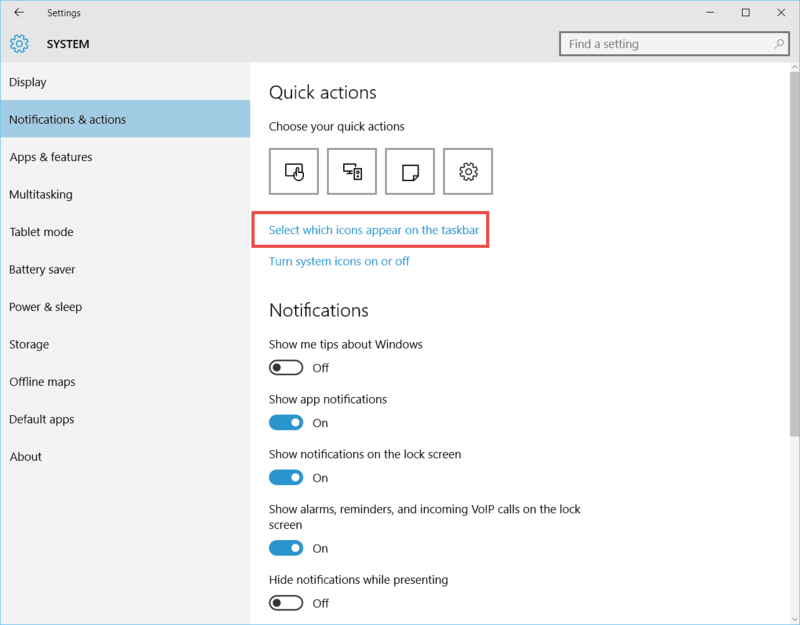 Depending on which build of Windows 10 you have, the same panel might be in a different location, specifically Settings -> System -> Notifications & Actions. Now, all you need to do is toggle on the app icons you want to see in the System Tray taskbar right next to the clock. It’s definitely not as intuitive as the Customize option Windows 7 is providing, but it does the trick!